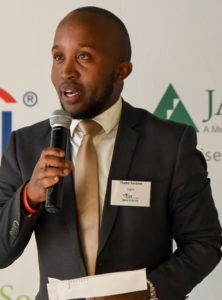 Thabo Serame is an award-winning entrepreneurship education leader who did a JASA programme in 2008. For over seven years he has invested his energy in developing youth, through initiatives with organisations such as Wits, EY, Investec, Absa and Youth Leadership & Entrepreneurship Development (YLED), where he currently serves as Director of Finance and Board Member. Thabo is a seasoned management consultant working clients in sectors from education and banking to insurance and real estate. His entrepreneurial journey began in Grade 9, when he started a tech company. Then he moved on to run a student accommodation business called IDS Student Residences, a tourism and shuttle business – IDS Shuttles – and more recently a food and beverage business in the fames Vilakazi street, called IDS Eats. 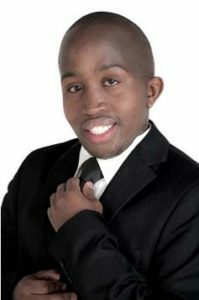 He also empowers people to understand the world of business, finance and leadership by contributing to UJ FM. “Junior Achievement taught me about life skills, the norms and values of greatness and what entrepreneurship is. It taught me about personal branding and how I should represent myself as a brand, everywhere I am. Through JA I learned how I could run my own business, offering innovative solutions to media and branding. “I have a vision to inspire and empower young and old minds to be the greatest they can be. By discovering that I have leadership skills I now know that I have a responsibility to deliver on my vision. Knowledge is power and JA is a platform that aims to inspire young minds to better themselves. Everyone has potential; unleashing that potential reveals how great a young person can be. “Waking up on Saturdays each week and going to the programme meant that I was planting a seed for greater ventures. I have carried this discipline through to my studies in Organisational Psychology and Anthropology as JA proved to me that everybody has potential and that it is when that potential is realised that success is guaranteed.